Nicole is a Zimbabwean born artist. She grew up on a tobacco farm where she nurtured her talent and developed her artistic skills from a very young age. Nicole later attained her degree in Fine Art at the Savannah College of Art and Design in Savannah, Georgia, USA in 2006. Thereafter Nicole has traveled extensively throughout USA, Europe and Southern Africa and spent a great deal of time painting in the South of France, Zambia, Zimbabwe and more recently in the Sichuan Provence, China where she was invited on a 7 week exchange programme sponsored by the Chinese Ministry of Culture. Her primary choice of medium is oil on canvas. 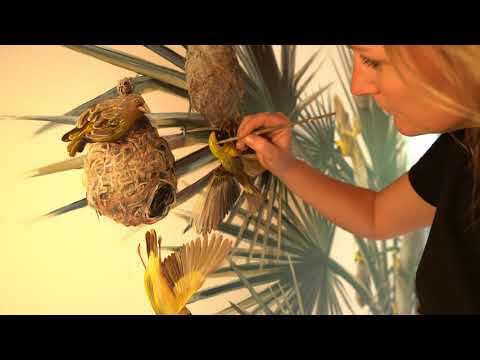 Nicole draws her inspiration from nature, in particular from birds. Inspired by the freedom they depict and fascinated with their instinct, creativity, grace and beauty, she hopes to visually recreate the beauty they add to the world.